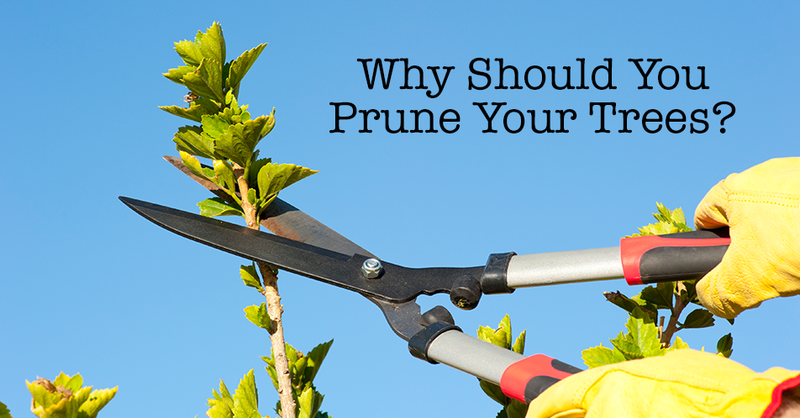 Why Should You Prune Your Trees? – The Natural Way, Inc. Many tree care companies misguidedly sell tree pruning to improve tree health. In fact, there are few studies on pruning improving tree health, but there are some examples such as disease removal (cankers and spores) and reducing diseases like powdery mildew which increases air circulation in the canopy. Most tree pruning is done for clearance (walks, driveways, streets, houses, structures), aesthetics and hazard reduction. When trees rub on gutters or roof tiles they can compromise those structures and create water damage that can cost many times the cost of pruning. Branches can also scrape against houses causing paint to be worn off. Repainting a section of a house can cost more than pruning. Trees that grow over sidewalks can create a dangerous situation if people need to walk into the street to get around the plant. Trucks and other high vehicles can be damaged by low hanging branches, and trees are damaged when those branches are ripped off. A properly pruned tree will look natural and without obvious defects. 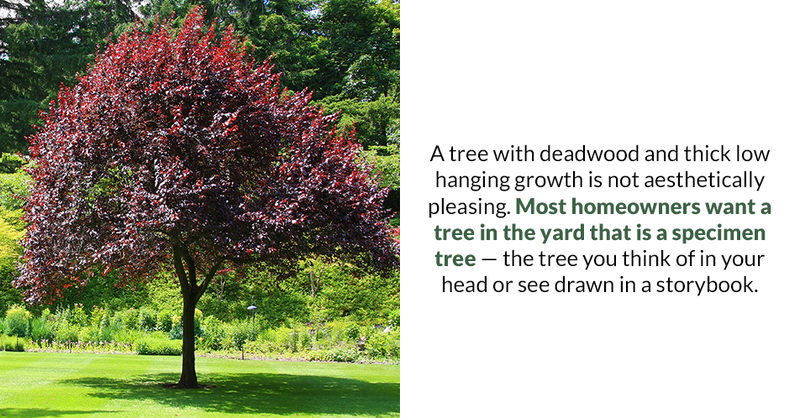 It is a tree that will enhance our yard’s and our home’s appearance. Hazard reduction is the most important reason to prune your trees. Hanging or dead limbs present a hazard to people and property. If someone is hurt or damage is caused by a known problem or hazard, then the homeowner can be held liable for damages. If a dead tree falls and damages someone’s property, insurance may not cover the damages because it was a known problem that was not addressed by the homeowner. The cost of pruning is far cheaper than a lawsuit and the resulting judgment. Not to mention losing some money to prune a hazard tree versus losing a person. Pruning a tree is the right thing to do in the urban environment, for many reasons. Be sure to talk to a certified arborist about the needs of your trees. At The Natural Way, we’re here for all your tree, shrub and lawn care needs. Give us a call today to learn how we can help spruce up your landscaping and to create a maintenance plan that suits your lifestyle.